A friendly coastal town, Byron Bay is renowned for its relaxed lifestyle, beautiful beaches, scenic hinterland, world famous surfing and a fantastic range of water based activities including swimming, scuba diving and whale watching. Although one of the most popular ways to spend your time in Byron Bay is simply relaxing, there are also plenty of art galleries and markets to browse and a wide range of pubs, cafes and restaurants to enjoy. 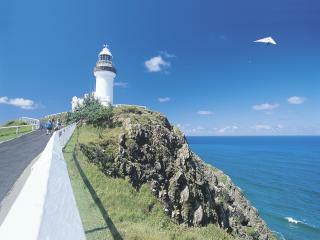 One of the most iconic Byron Bay attractions is the Byron Bay Lighthouse, a local landmark that is popular with locals and tourists alike. Built in 1899, the historic attraction rewards you with stunning views of the ocean after a stroll along the rugged headland offering glimpses of rainforest gullies. The perfect vantage point for spotting surfers, turtles and dolphins, you might even get a glimpse of the migrating humpback whales if you time your visit right. 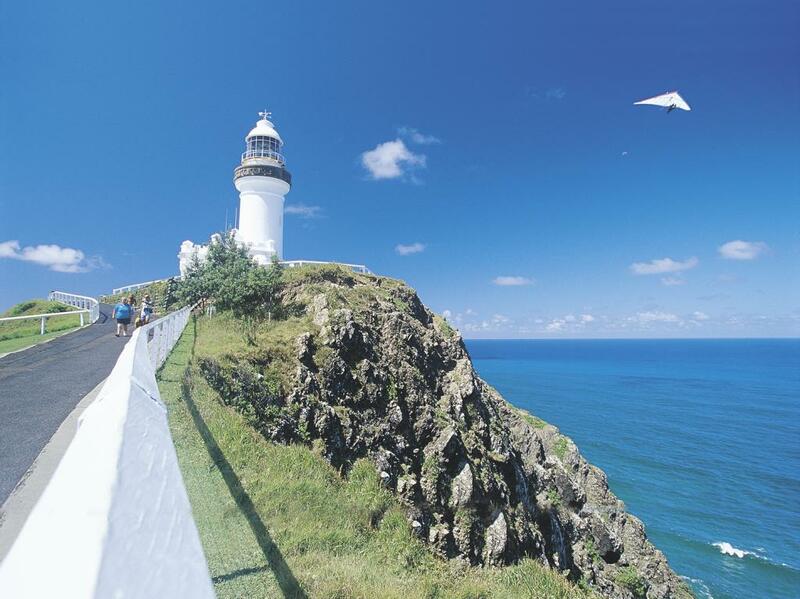 Renowned for its whale watching, Byron Bay offers the best chance of spotting these majestic creatures from September to April during their annual migration. If you don't happen to be visiting during this time, there's plenty of other opportunities to see Byron's marine life with some spectacular scuba diving, particularly off Julian Rocks. Swimming and sunbaking are also popular ways to spend your time in Byron Bay, particularly on Main Beach, and if you want to continue the relaxation, there are a number of nature walks, yoga classes and day spas that will hit the spot. However if you're feeling a little more active there are plenty of activities to keep you entertained including sea kayaking and sky diving. Of course you can't talk about Byron Bay without mentioning its fantastic surfing, a popular attraction for almost everyone who spends time here. There are surf schools for beginners, however if you're a confident surfer there are a number of beaches to cater to your needs including the longboard hangout of Watego's Beach and the lesser known but sufficiently swelled Tallow's Beach.